Quality online video is one of the most important tools that you can use to reach your target audience and customers. 80% more people will stay and engage with your website and social media platforms, if you use professionally produced videos that are optimised for e-commerce. That is exactly what we do. We use some of Ireland’s best broadcast professionals who between them have won IFTAs/BAFTAs, New York Film and Television Awards, and are now at your disposal, to produce stunning videos, that are dynamic and work for a fraction of the cost of traditional advertising. We can create high-end television commercials, corporate and You Tube commercials and explainer videos, together with micro budget films to get you online quickly and test out video for your company or organisation – see our micro budget section. 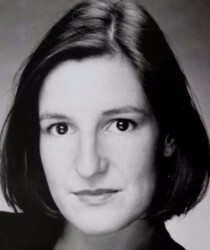 Karla Goodman is the managing director of Made to Measure Films Ltd and is a former Channel 4 Producer, actor (BBCR4) and Theatre Director. Karla and her team love telling powerful and memorable stories that cut through, enhancing your SEO rankings and getting you noticed. Contact us now for a free consultation and see how online video can work for you.